People say that higher expectation brings higher disappointment. That's exactly how I'm feeling about Little Busters right now. I have always LOVED (not just liked, LOVED) everything from Key, (Clannad, Kannon, Air, Angel Beats!). 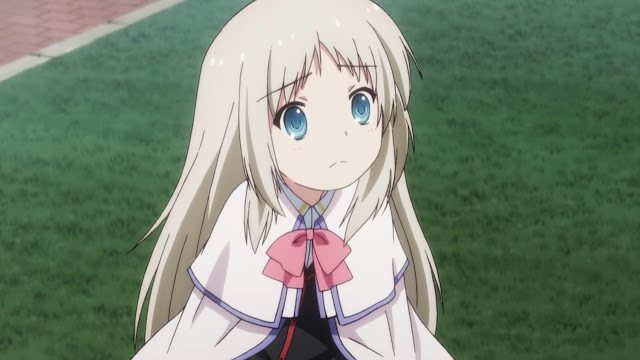 So naturally, I'm expecting the same things from Little Busters: something manages to stir my emotion every step along the way, like extreme mood swing in short period of time, rolling on the floor laughing comedies, and highly touching moments that would make me cry my heart out. But so far, almost every single category is a disappointment. Little Busters feels like a Kannon with more characters, Air without the legend, Clannad without the romance of the main duo, or Angel Beats! in a boring normal high school in earth. Basically, it feels like a generic Key's routine story, but without its own flavor. So all it has left is a series of random stories of random people. On top of that, each character's story unfolds just a bit too abruptly for people to get really emotionally attached to their misfortunes. With four more episodes to go, there is a chance the last arc of the anime could redeem itself by tying everything that are related to the whole mystery thingy that pops up once a while to a grand finale. But at the moment, this would earn me a B- at best.